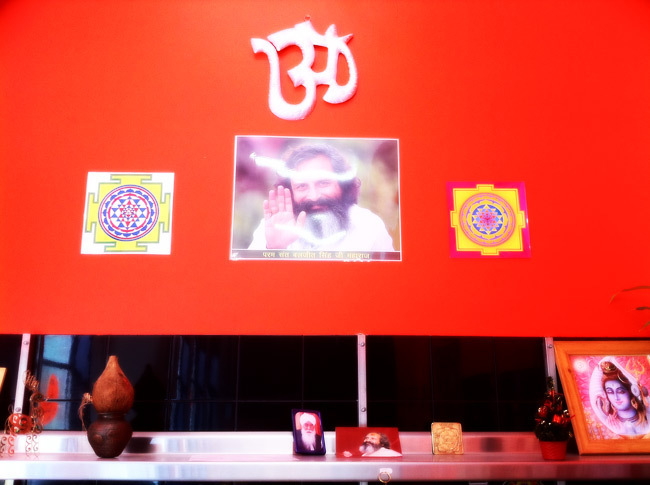 OM Vegetarian restaurant is a hidden gem in the inner city which is popular with both vegetarians and meat eaters alike, due to its delicious fresh food, fantastic flavours and budget friendly prices. The mission of this restaurant is to promote the vegetarian lifestyle and sustainability and does so by providing visitors with vegetarian Indian cuisine that is cooked wonderfully. The price at OM vegetarian is hard to argue you with - $6.50 for all you can eat off the restaurants set menu. Simply pay at the counter and await your round metal dish to arrive with each part of your tray filled with Indian specialties. OM vegetarian works on a set menu with 2 curries – a lentil based curry and a vegetable based curry, Pilao rice, which is basmati rice cooked with peas, saffron and cumin, Butter Naan bread baked fresh in a Tandoor oven and a serve of Pickle. Water is available self service and OM's famous Indian laasi, juices, teas and soft drink are also available to purchase. OM has two locations - Level 1, 28 Elizabeth Street and 277 Collins Street Corner Swanston and Collins Street, which are both in the Melbourne CBD. My guest and I dined at the Collins street location, which although tucked away with a modest food court style décor does not disappoint with cuisine. The curries on offer on a Saturday lunch time were a chick pea curry and a potato curry – both well spiced, a fluffy Pulao rice two large servings of Naan and pickle. Once finished you can simply go back to the restaurants counter and order another round of food. OM vegetarian are available for private parties, functions and catering and have vegan options available. Both OM vegetarian venues are open daily from 11am to 9pm. Terrible place. Bad people, bad service, bad food. The tables are dirty, the food is burnt, and it's not really all you can eat (false advertising). Don't go there.